CPanel is central in web hosting. It is a Linux based online web hosting control panel providing a graphical interface and also automation tools customized to simplify the web hosting process. It functions as a virtual private or dedicated server. Many hosting service providers provide cPanel to many website owners to enable them to manage their websites from the web based interface.Users can use it to control a portion of their Unix server. Tools in cPanel simplify site running and management. It is a tiered structure allowing different access levels. End users and administrators can use it to control various aspects of a website and server directly using their browsers. Depending on the offer by the hosting provider, cPanel can have a sort of auto installer or a package dedicated to content management systems such as WordPress. CPanel is for the user of all levels as it employs GUI (graphical user interface) to present a wide range of site maintenance, operation, and design options. It can manage, upload, download or delete web pages, supporting file and media. It can also install web based programs such as shopping carts, chat rooms, forums, and blogs. Other programs can perform these tasks, so why has in cPanel the most popular since its inception in 1996? Installing cPanel is easy. It only requires a Linux system with minimum 20 GB disk space and a RAM of at least 512 MB. Many modern computers can meet these requirements. When you install, the very spontaneous graphical interface enables users to handle and use the control panel without any problems. Moreover, it can manage complex tasks by just a few clicks. The complex tasks you can accomplish using it range from website maintenance, searching for web directories, calculating disk space and making regular backups. Since cPanel is simple to use, it helps to host service providers, small and medium companies to save the cost of labor by eliminating the need to hire expert system administrators. It also minimizes the workload for the administrator. Upstart website owners can focus on running their enterprise rather than managing the daily site operations. With cPanel, it is possible to detect a failed service. When it does, it will automatically log out and restart the service. The new version includes a DNS Clustering system that gives more robust and trouble free performance. Different browsers from Firefox, Chrome, and Internet Explorer to Safari are compatible with cPanel. It allows users to run it on their browser without problems. 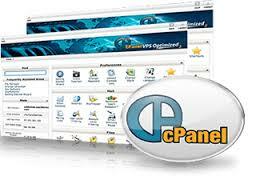 Also, cPanel supports third party software add-ons that help users to build robust and dynamic websites. These add-ons range from bulletin boards, guest books, and blogs. These apps are essential for companies and website owners as they help them to improve functionalities of their sites. You can install and use all the web applications by making a few selections on a cPanel interface and providing answers to some few questions and prompts. These include WordPress, E-commerce storefronts, and PHP BB forums. Web traffic cPanel collects are helpful for SEO efforts. Data supply can be in three statistics tools and comprehensive logs. A professional web developer can also use cPanel to check the server’s PHP setup, customize error pages, install things like Ruby Gems and determine the presentation of content with high precision. CPanel is rich in features and functions that allow users to manage websites or hosting accounts with much ease. Email management function is a good example. It supports all standard mail protocols with or without SSL encryption. A webmail tool allows account holders to access email from any point at any time using a computer and web browser provided there is an internet connection. Users can quickly and easily set their email accounts up. CPanel also other helpful features such as anti-fraud and anti-virus protection. The ability to allow users accomplish multiple functions has made cPanel to be the most popular server control panel over the years. It is also popular because its features are portable. Users can transfer them easily from one hosting company to another without technical difficulty.